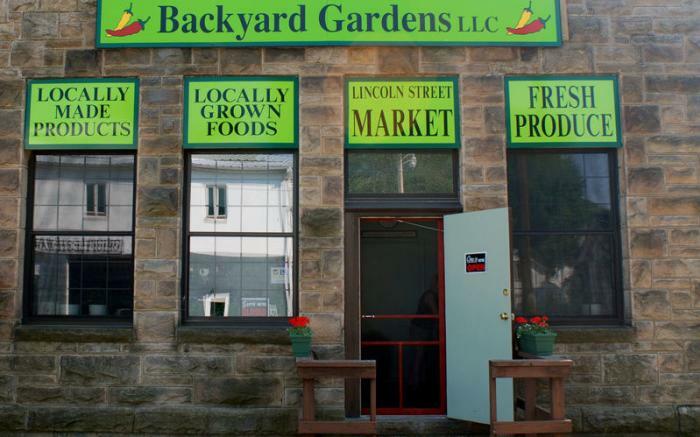 Backyard Gardens Market is all about locally grown and locally made food and products. 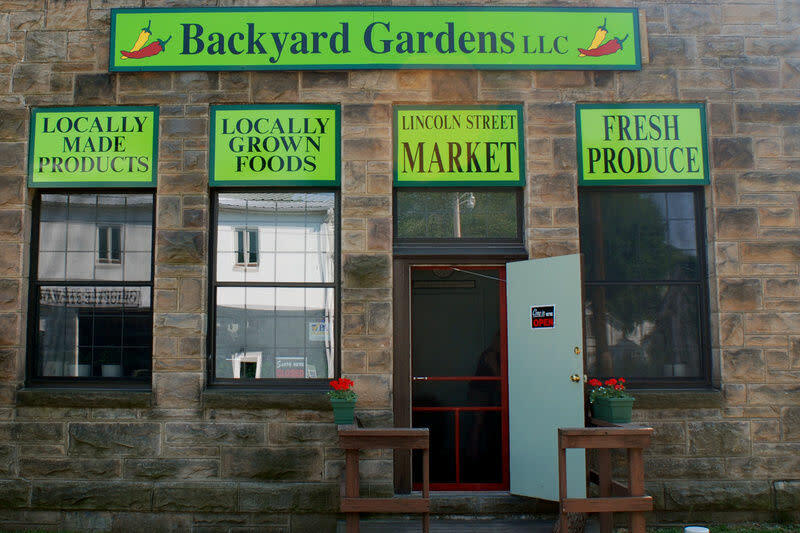 Featuring Backyard Gardens own Sweet and Hot Pepper mustards- a sweet and hot recipe made from banana peppers, jalapenos, or habaneros. Also featuring Greendance Winery's Wines, jelly and jams, honey and maple syrup, hot sauces, chocolates, goat and cows cheese, fresh local produce in season, art, jewelry, books, photos, wooden toys, pottery and more. All made within 100 miles of Ohiopyle.